I exist because you imagine I do. Hello. 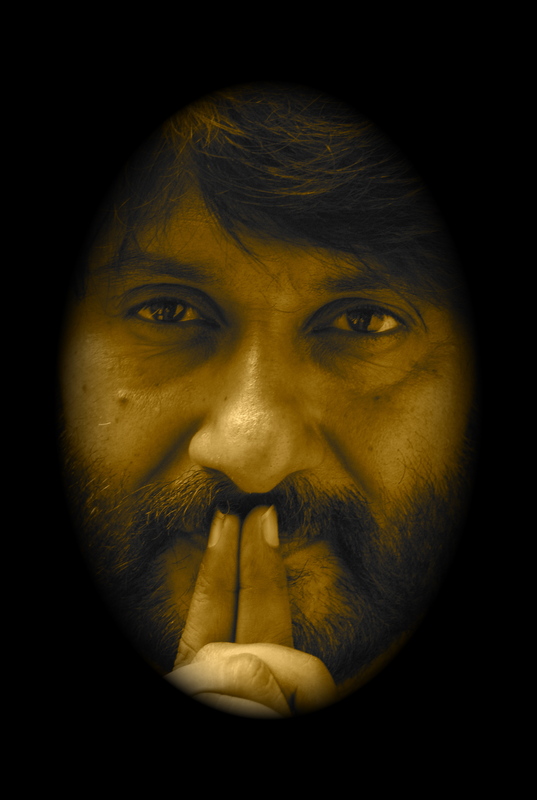 The name Vivek Agnihotri was given to me. Actually it was Vivek Ranjan Agnihotri. I took out Ranjan as I felt the whole concept of middle name inane. My place of birth, Gwalior, somewhere in centre of India, little on the left, like our heart. But it wasn’t my choice. If I had to choose it would have been Bikini Islands. My parents, my teachers, my education, my caste, color, values, beliefs, economic status, nothing was out of my choice. I am a result of the place and people I was born to. I am not what I am. I am them. What I think, say and write is what I am. That too, is not my choice. That’s all I have seen, heard or experienced. I am a nobody. I exist because you think I do. but you did exercise your choice of removing your middle name, that speaks about destiny vs freewill and the more we exercise the same in positive way we become catalyst of change. Very thoughtful introduction and write-ups. After a long time I am reading something “out of the box”… Thanks for sharing. Extremely engaging and stimulating. Keep sharing..
You are what you are not only as a result of the place and people you were born to, but what you make of yourself. Other than that, this pathetic dribble could be a sign of subjective insecurity or delusional disorder; so in this you finally have a chance to choose. Very good thought provoking introduction. Are you sure, your education, your values are not of your choice at all? Like you, everyone on this earth bound to be influenced, shaped and moulded by the place , people and geography. But when you say “What I think, say and write is what I am., is not my choice” then who are you? Are you a nameless bundle of All Pervading Energies? May be because, i think so. APE bless u.
Wow! that’s a great introduction. We all live high on our ego, nodding to Rene. Our thinking is not spare of influences around us, we are not immune to values and beliefs we carry. But still we do have a lot of control on shaping up our guiding principles, and think without the burden of others value system. We are nothing but the choices we make, and I think we do have lots of control on path we choose to take. Why do you choose to write? Why do you choose to write the way you write? Why don’t you paint? Why don’t you write yet another gossip column about the bollywood junk? Nice introduction. But it seems that you have some issues with the city of your birth (Gwalior). Even I am from the same place although not born there. I believe nobody in this world have the liberty to choose birth place. Its pre-decided. Also I believe that in one way or the other the place where you born/brought up influences and teaches something for the life ahead. I’m trying to get in touch with u since I watched your movie : hate story. I have a great script will you please do my movie ? I share your feelings , and laud your efforts . I live in Canada and watching your movie was a big inspiration . I am blessed that Canada has very little corruption maybe , but I feel everyone can should contribute however far we are, if you were born in India . Hello! Dear Mr. Agnihotri, I have to address you with the name given to you because I have no choice either!! I really liked what you’ve said in your introduction but that is basically everyone’s introduction because none of us came with a choice. Although have you thought about the idea if you were given a choice? What a chaos it would have been. Thank your parents for reducing your confusion there!! It’s a time saver as well. I can’t imagine for my baby to grow able enough to name herself, choose her religion and etc etc. And who would I bully if she had all the choices. I will be left with nothing better to do. Ha! Hahahaha. I really enjoyed your reaction. Perhaps, one of the list creative comment so far. Really enjoyed.